Can you believe 2017 is almost over? 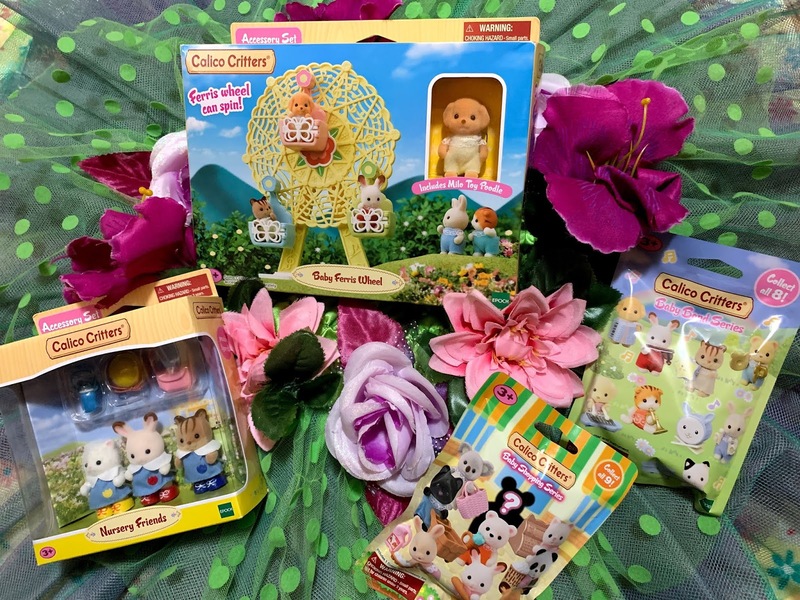 The holidays are approaching fast and it’s the perfect time to invest in a few new outfits for your little ones for family pictures, presents, holiday parties or just because! The holidays are all about family fun! As the weather cools down, there are so many seasonal activities you can all enjoy together, including ice-skating, building snowmen and drinking hot cocoa! 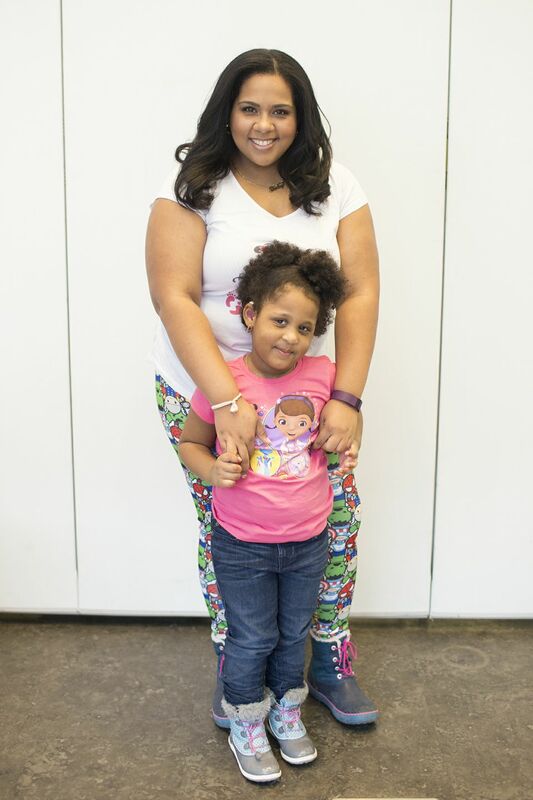 From Thanksgiving dinner to Christmas day to New Year’s parties, your kids need to be decked out in the most stylish (yet still age-appropriate) outfits! And OshKosh clothing is perfect for those special occasions. Are you a Black Friday shopper? The first 100 people to any store will receive a gift card worth up to $100. This however depends on when your local store opens. If your store opens on 11/23, the dash in to win is on 11/23. 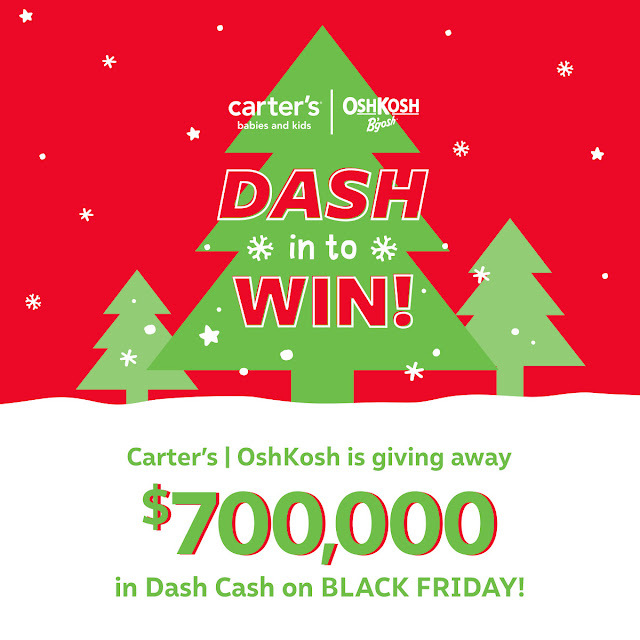 If your local store is closed on 11/23, then the dash in to win event is on 11/24. Check local store listings for store hours. And from now thru December 31st, save 20% off purchase of $40 or more with coupon: In-Store: 037264 or Online Code: OKBG3418. 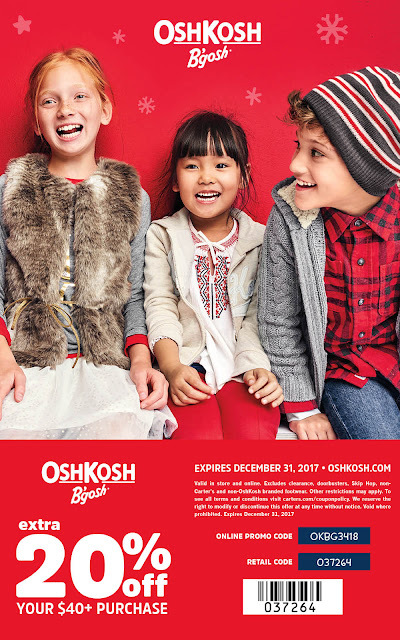 Today one lucky winner will have to chance to win a $50 Gift Card to get started on your holiday shopping at OshKosh B'gosh. Winner will be randomly selected by PromoSimple and will have 48hrs to respond to the winning email. Failure to do so will mean forfeiting your prize and a new winner will be chosen. Good luck! What are some of your own holiday traditions?